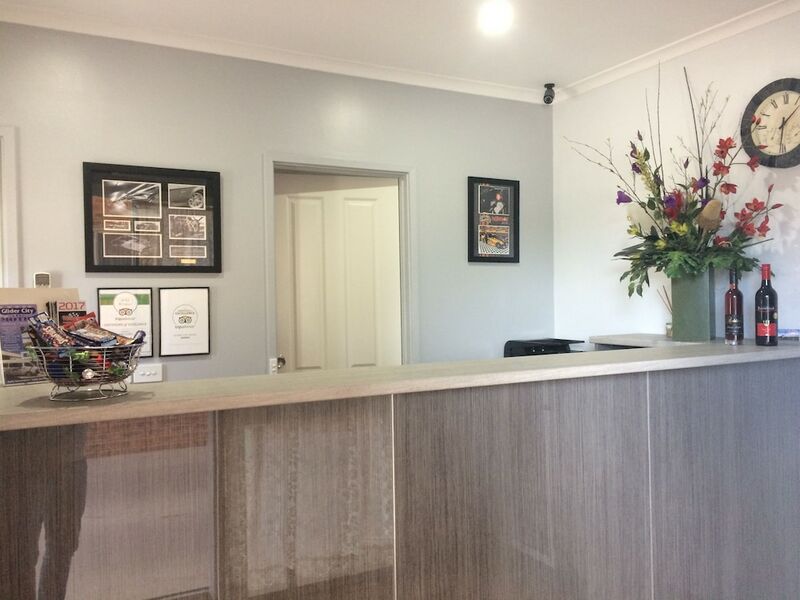 Located in Benalla, Glider City Motel Benalla is in the historical district, within a 5-minute drive of Benalla Visitor Information Centre and Benalla Costume and Pioneer Museum. This 4-star motel is 1.2 mi (2 km) from Benalla Art Gallery and 1.5 mi (2.5 km) from Benalla Botanic Gardens. Make yourself at home in one of the 13 air-conditioned rooms featuring refrigerators and LED televisions. Complimentary wired and wireless Internet access keeps you connected, and cable programming provides entertainment. Private bathrooms with showers feature complimentary toiletries and hair dryers. Conveniences include desks and minibars, and housekeeping is provided daily. Take advantage of the motel's room service (during limited hours). Cooked-to-order breakfasts are available daily from 7:30 AM to 9 AM for a fee. Featured amenities include luggage storage and laundry facilities. A shuttle from the airport to the hotel is complimentary (available 24 hours). If you are planning to arrive after 9 PM please contact the property in advance using the information on the booking confirmation. 24-hour airport shuttle service is available. Fees may apply. Contact the property in advance to get details.